No more black & white. No more clicker remote controls. No more rabbit ear antennas. The world of home entertainment is more digital, computerized, internet dependant and... complicated than ever. 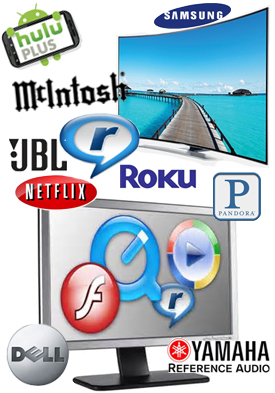 Let Global Communications explain the benefits and differences of all the new home entertainment technology available to you. Make sure you get the features you need, and not pay extra for those you don’t. And make sure all the gadgets and services play nicely together…as well as make it all easy to operate.